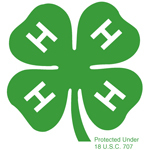 University of Maine Cooperative Extension conducts the state’s most successful out-of-school youth educational program through 4-H. 4-H is a positive youth development organization that empowers young people to reach their full potential. Many of the 23,440 youth participated in more than one of our programs. Again, many of the 23,440 youth participated in more than one project. providing youth with opportunities to experience positive risk-taking challenges and growth.